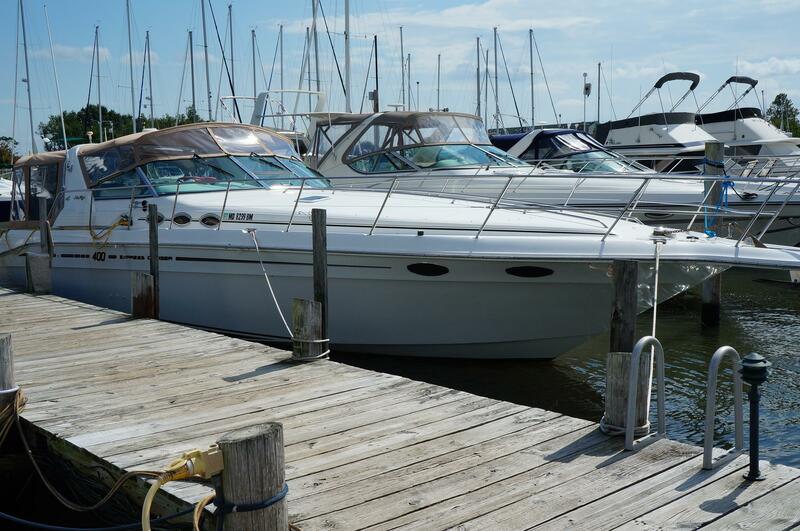 THIS IS A BEAUTIFUL SEA RAY "400 EXPRESS CRUISER" I SHE IS IN FANTASTIC CONDITION AND CLEAN, CLEAN, CLEAN. 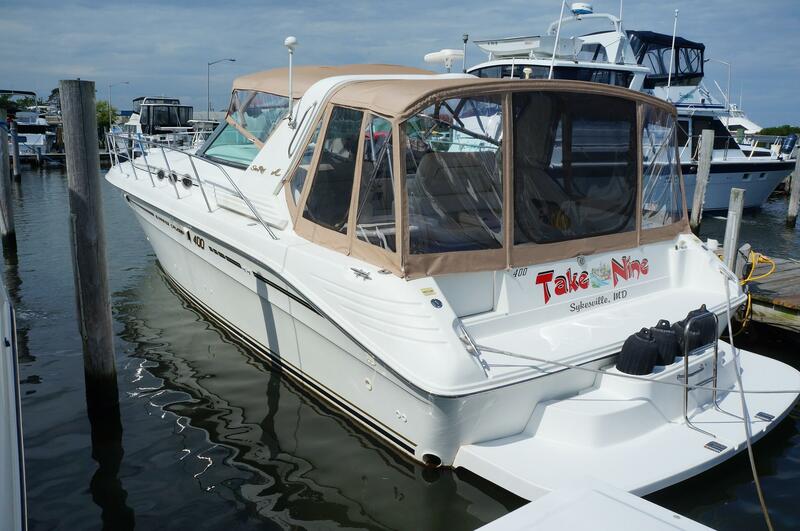 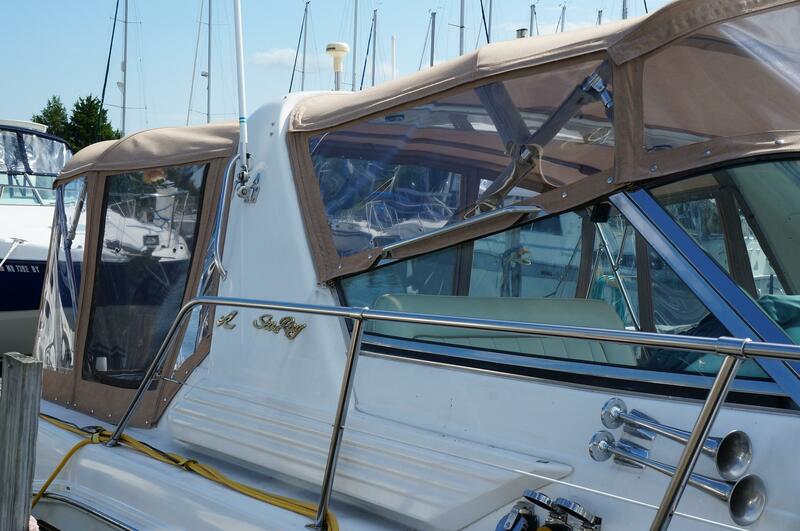 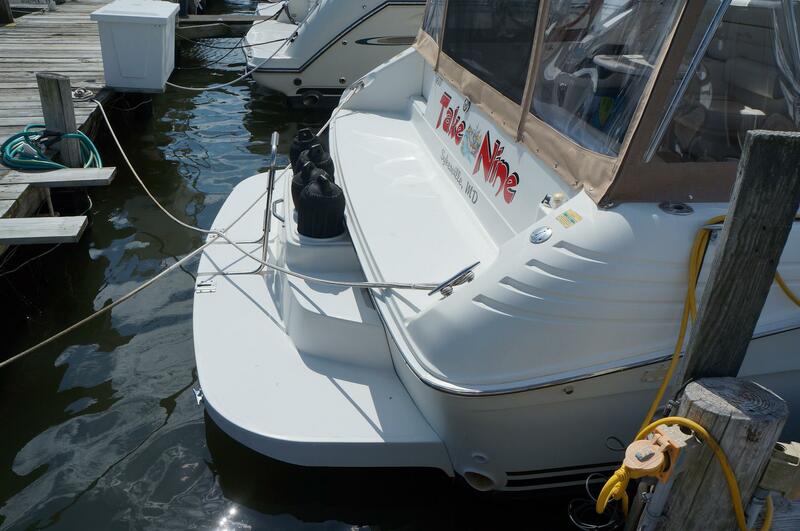 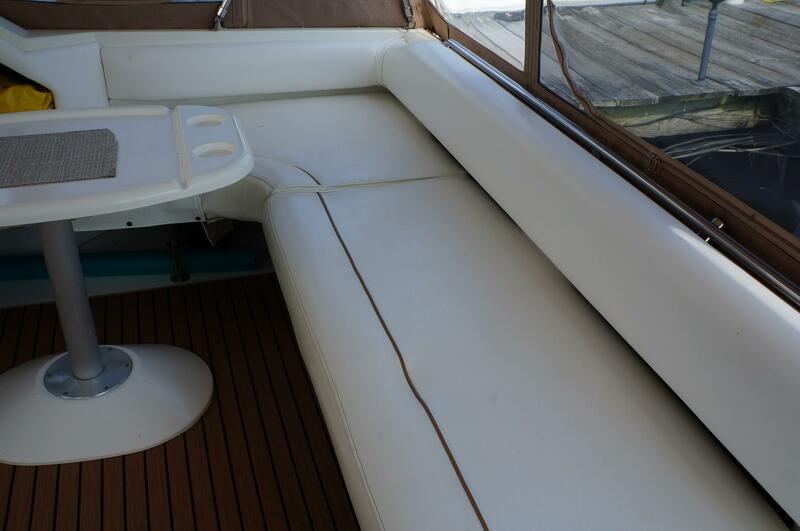 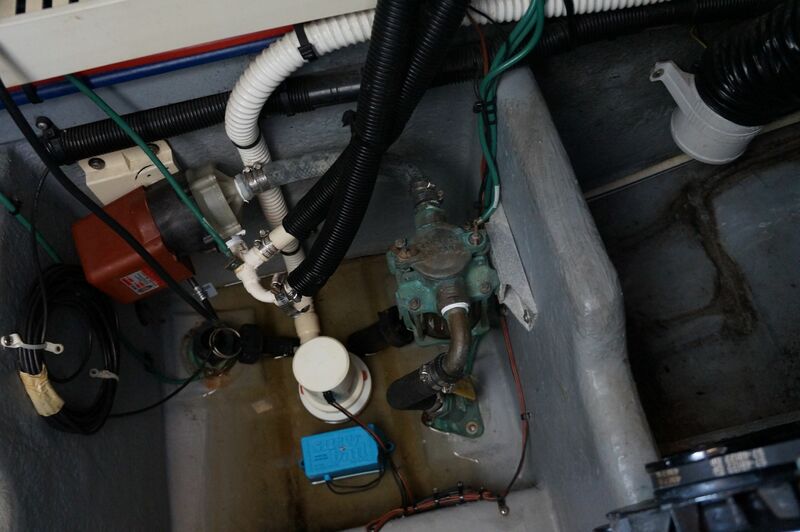 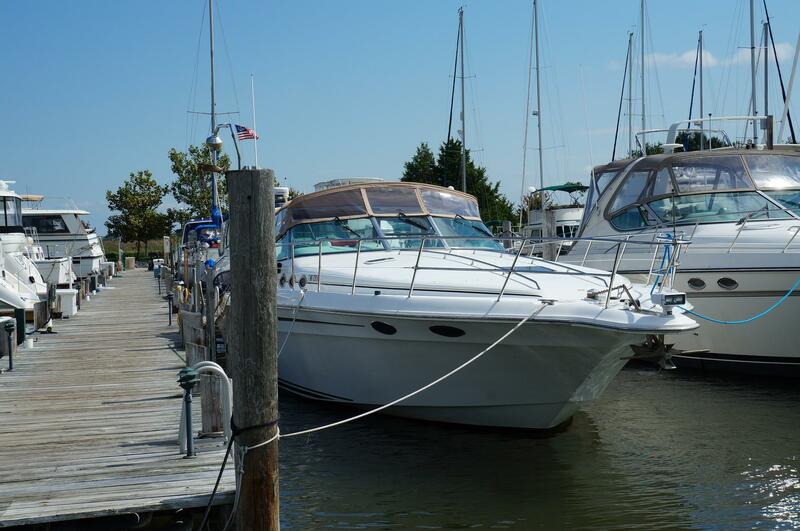 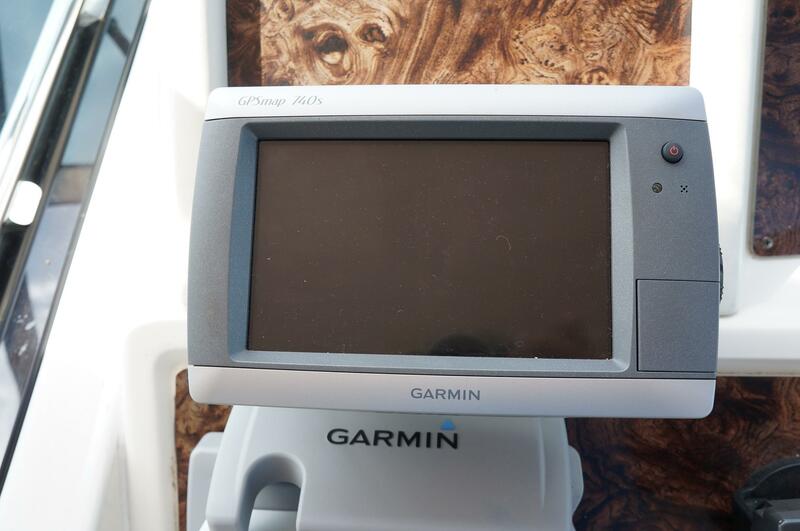 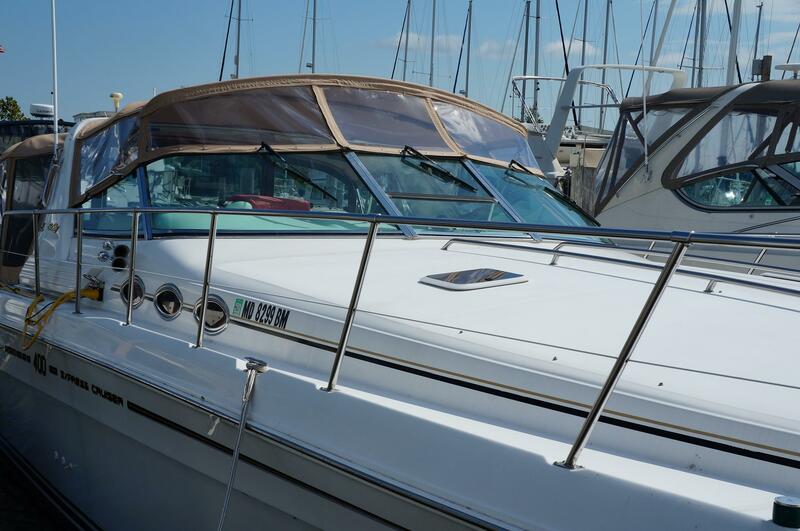 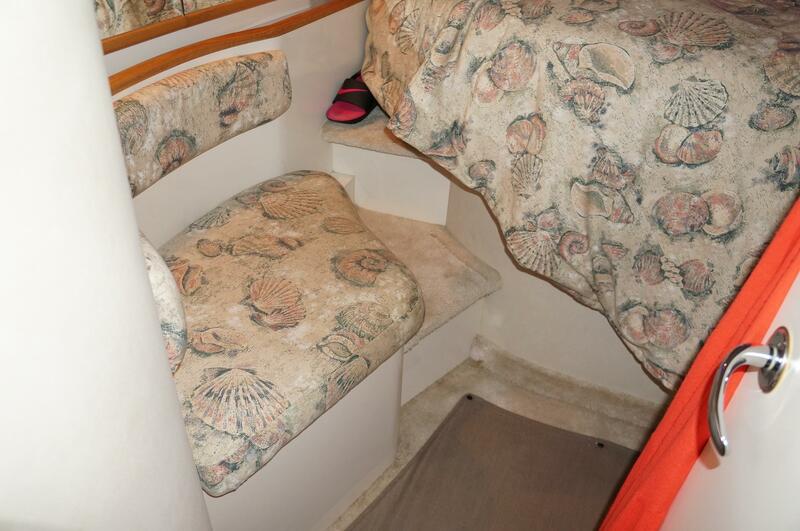 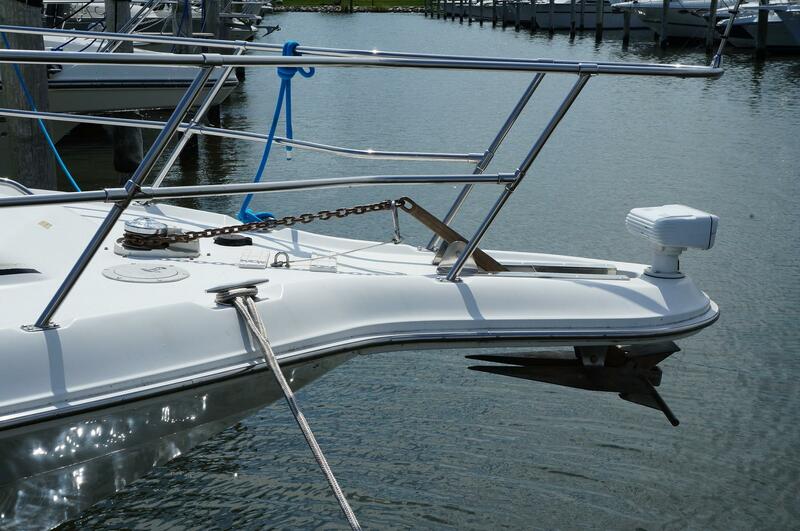 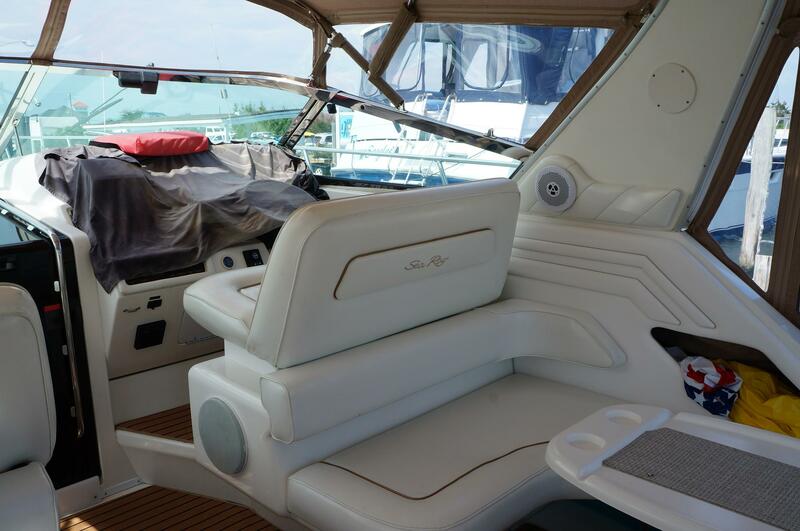 THIS BOAT IS IN HER SLIP IN OUR MARINA ON THE CHESAPEAKE BAY IN BRACKISH WATER AND READY FOR YOUR PERSONAL SHOWING. 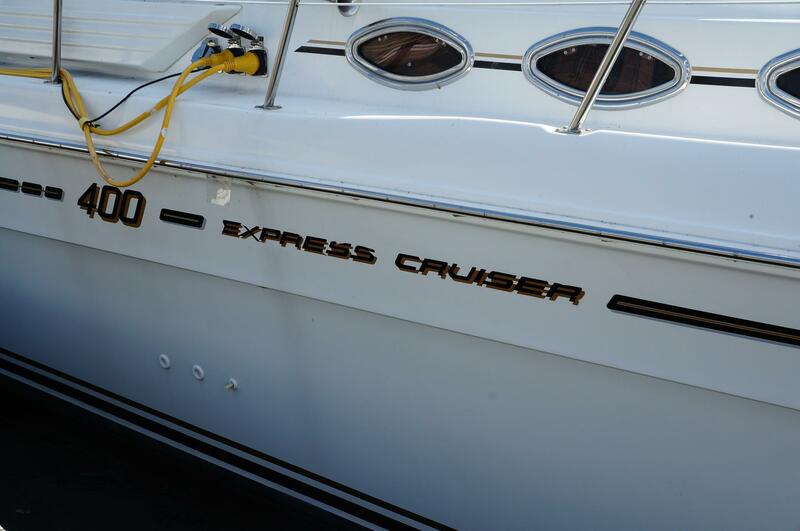 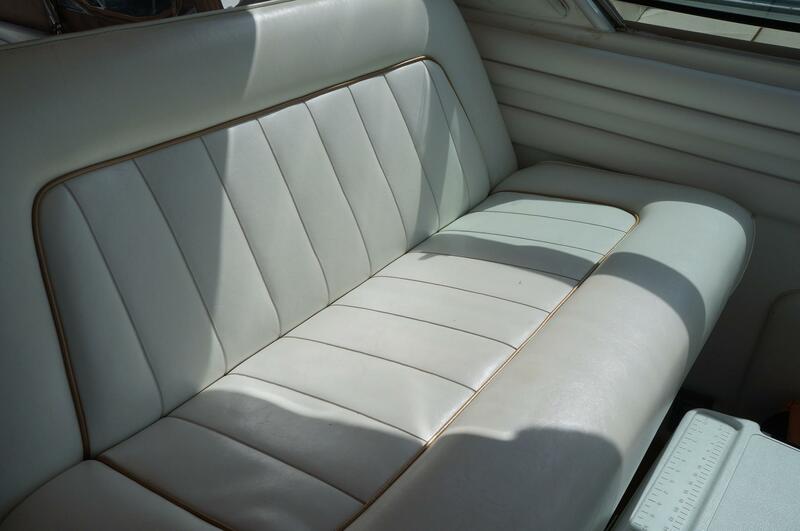 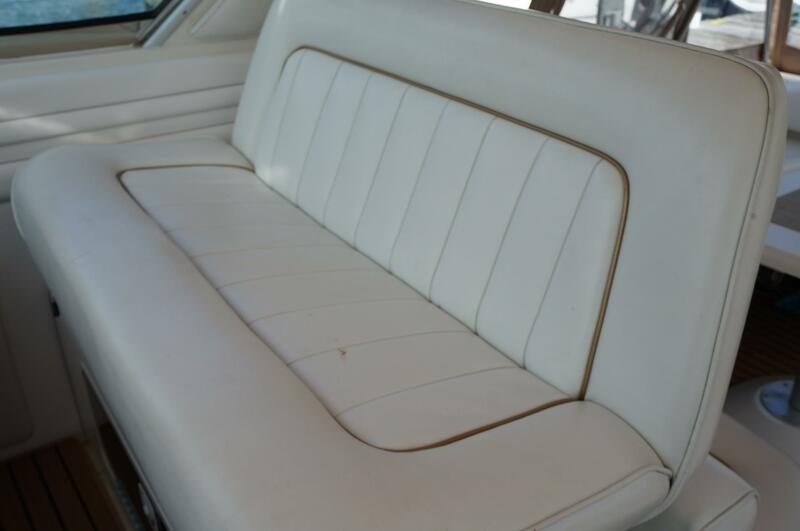 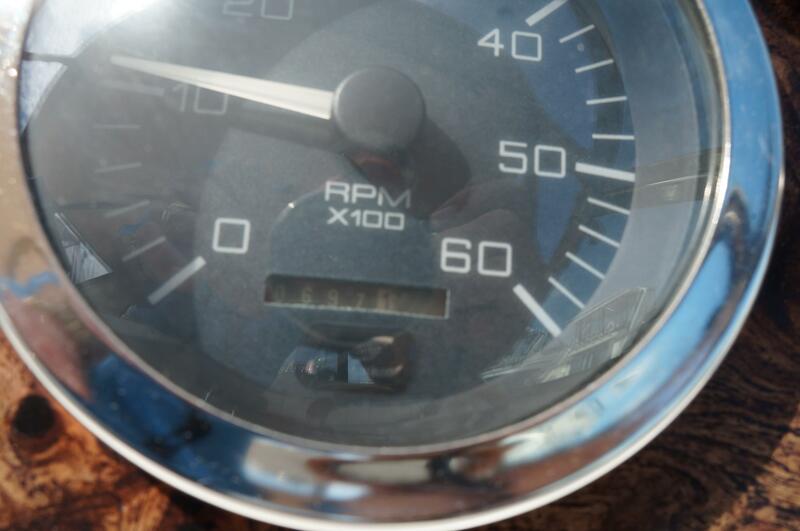 SHE IS PROFESSIONALLY MAINTAINED THROUGHOUT AND HER OWNER HAS SPARED NO EXPENSE IN KEEPING HER IN GREAT CONDITION. 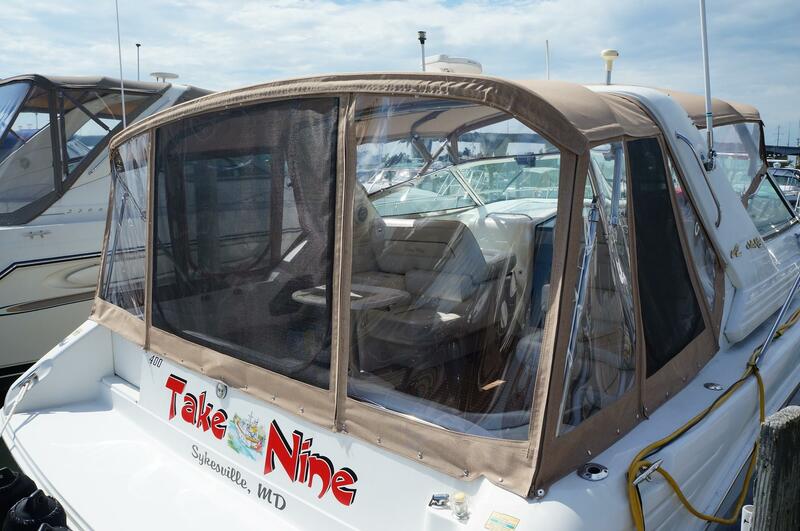 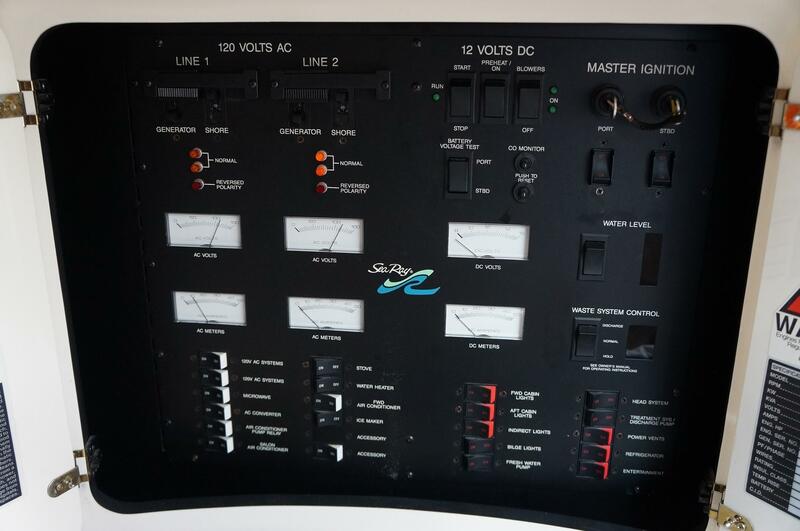 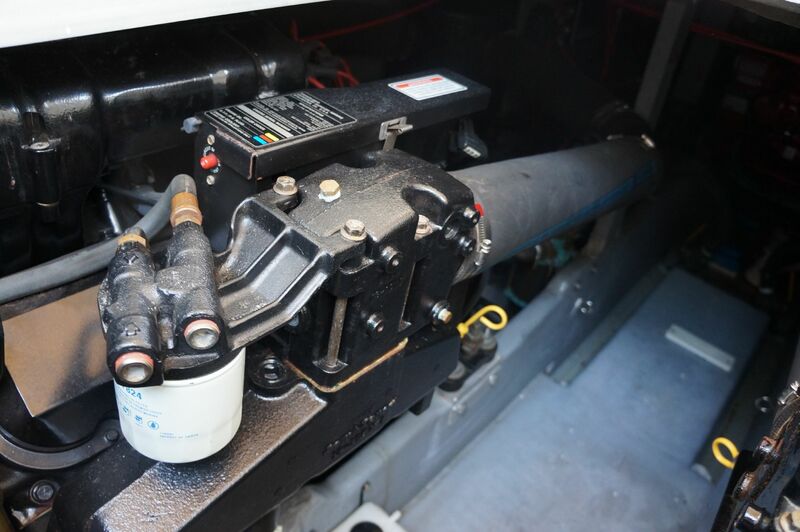 THIS BOAT IS POWERED BY TWIN 7.4L MERCRUISER FRESH WATER COOLED STRAIGHT INBOARDS WITH ONLY 700 HOURS ON THE BOAT!!!! 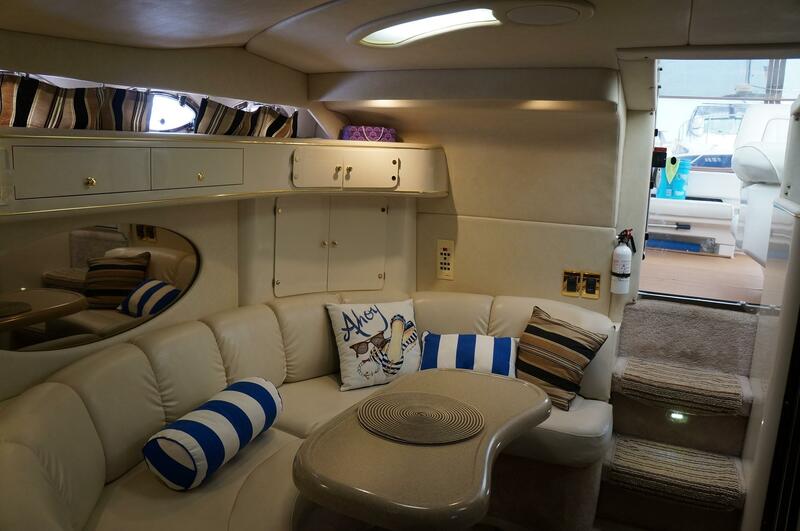 SHE IS NICELY EQUIPPED WITH AIR CONDITIONING, REVERSE CYCLE HEAT, GENERATOR, ELECTRONICS, COMPLETELY EQUIPPED GALLEY, LARGE SALON, HEAD WITH SEPARATE SHOWER, LARGE COCKPIT WITH FULL CAMPER CANVAS, EXTENDED SWIM PLATFORM, WIDE SIDE DECKS, AM FM STEREO, TWO TELEVISIONS WITH DVD PLAYER, SEARCH LIGHT, CENTRAL VAC SYSTEM, ENGINE SYNCHRONIZER, WINDLASS, NEW RISERS AND MANIFOLDS IN 2010, NEW DRIPLESS SHAFTS IN 2012, NEW LONG BLOCK REPLACEMENT IN 2016 AND SO MUCH MORE. 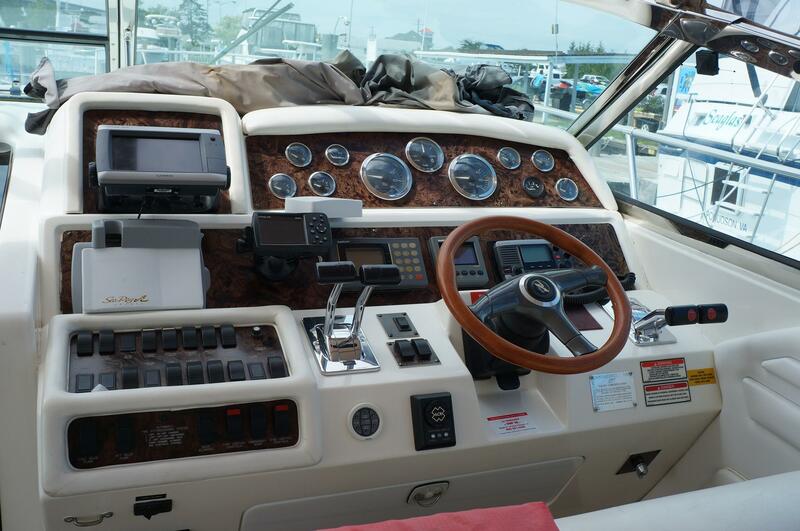 Her styling is classic, cockpit is huge and it comes with a luxurious interior. 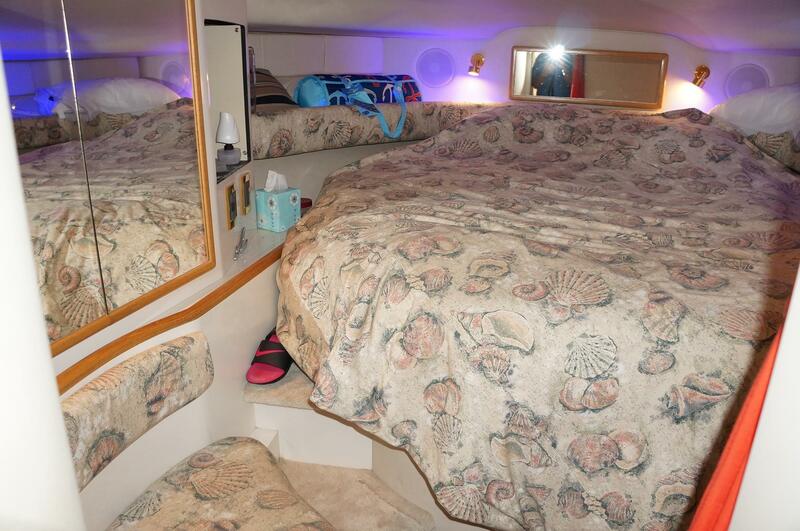 She is built on a deep V hull with a solid fiberglass bottom, two full staterooms and her accommodations offer sleeping for six. 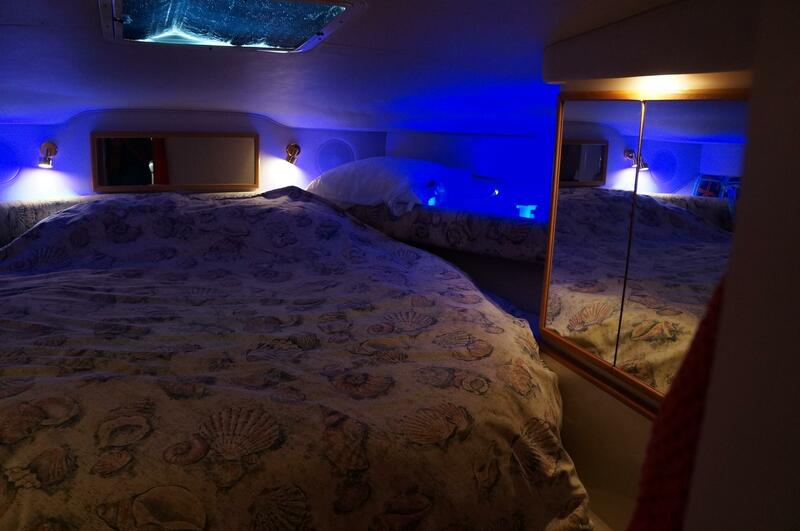 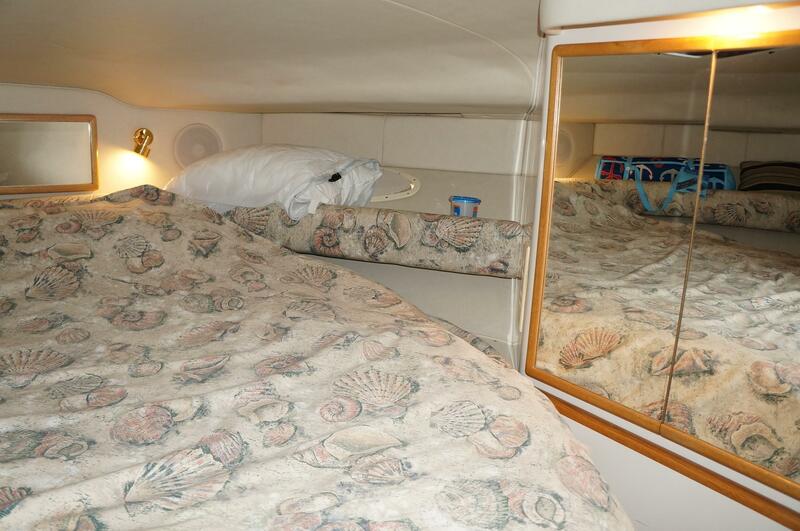 Her master stateroom includes a pedestal island berth as well as a TV/VCR unit, privacy door and a circular pocket door that closes off the starboard sitting room converting it into a private stateroom with a full size bed and upper bunk. 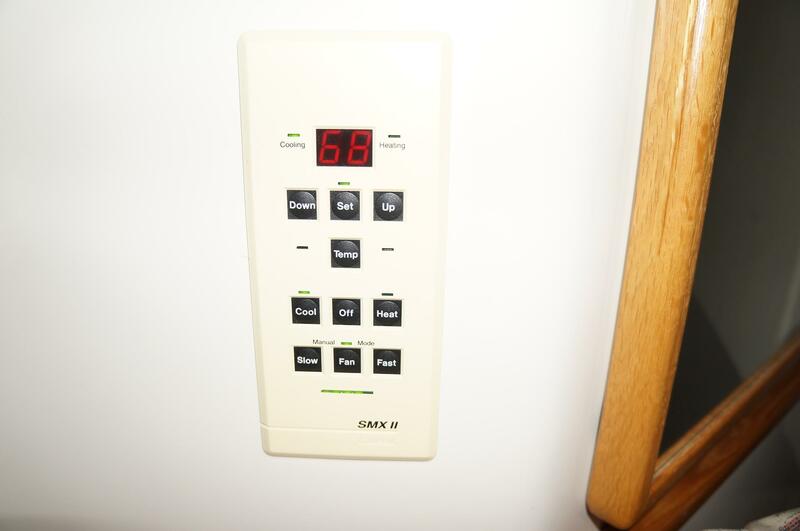 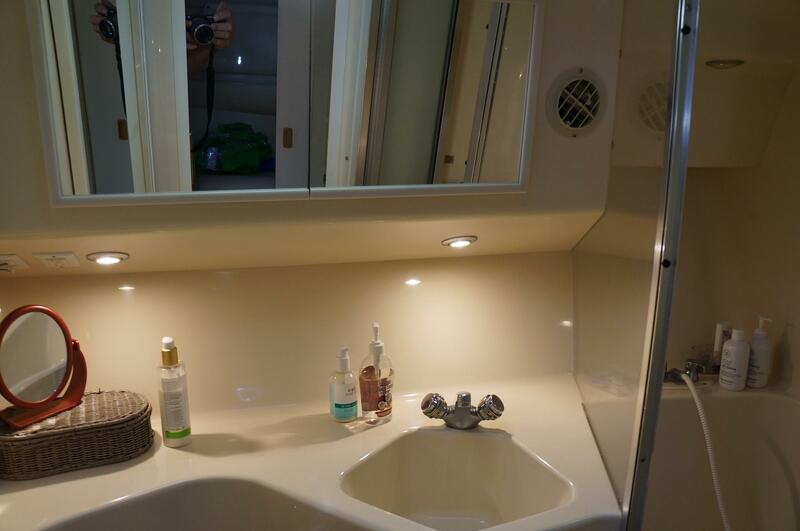 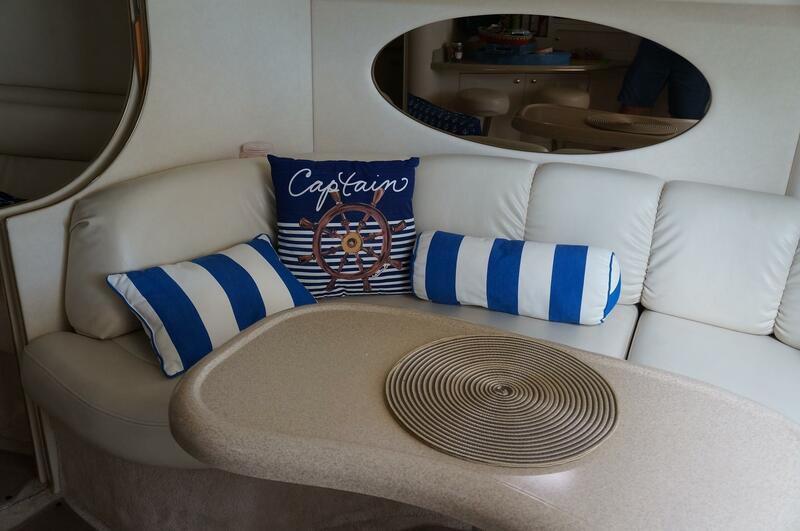 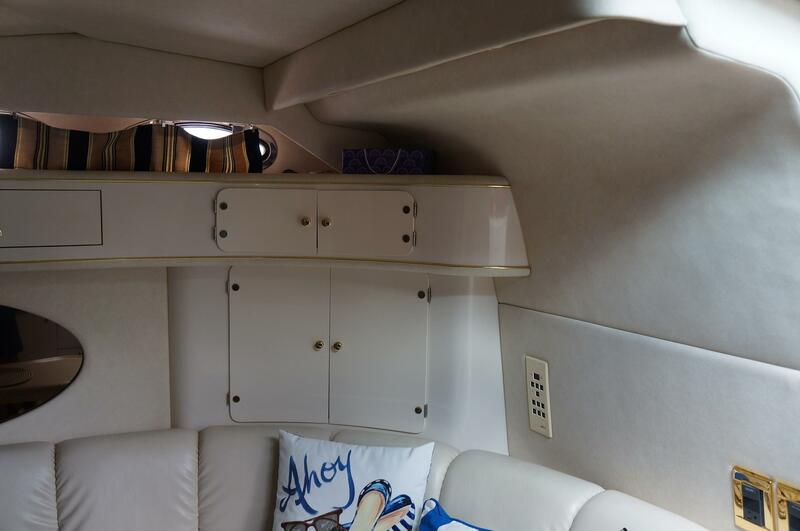 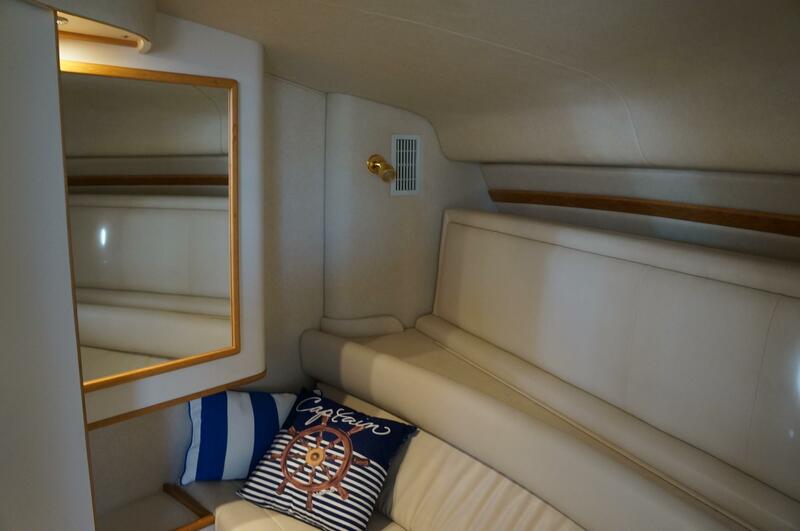 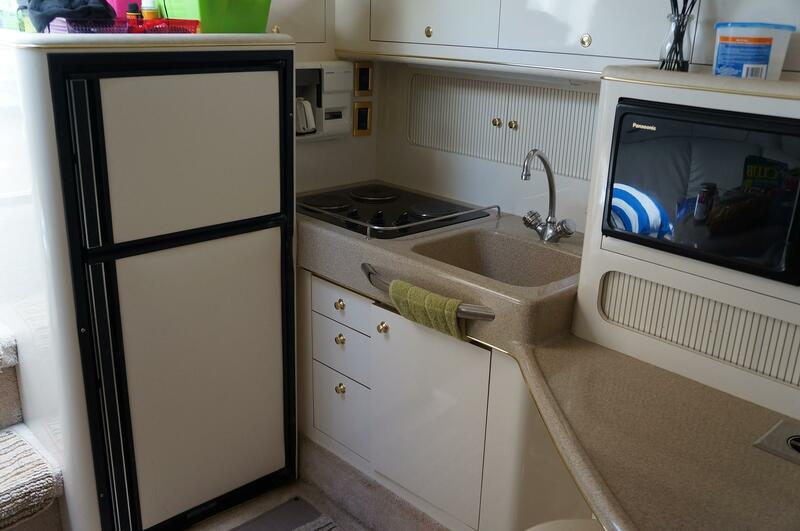 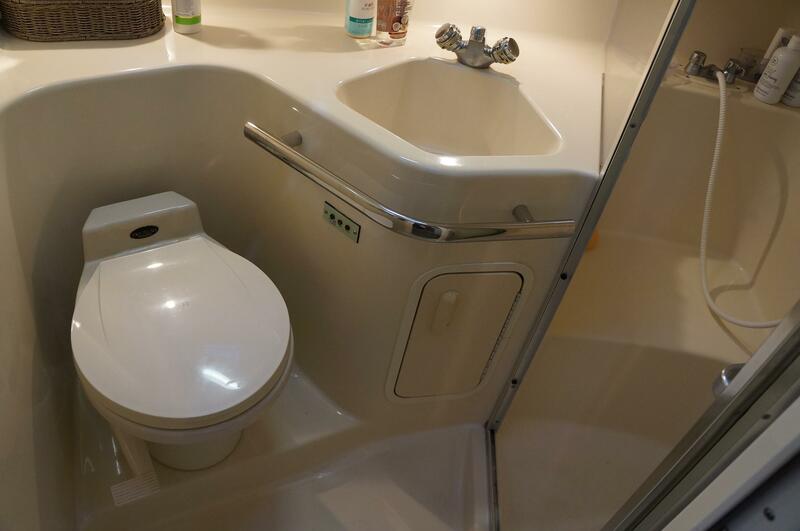 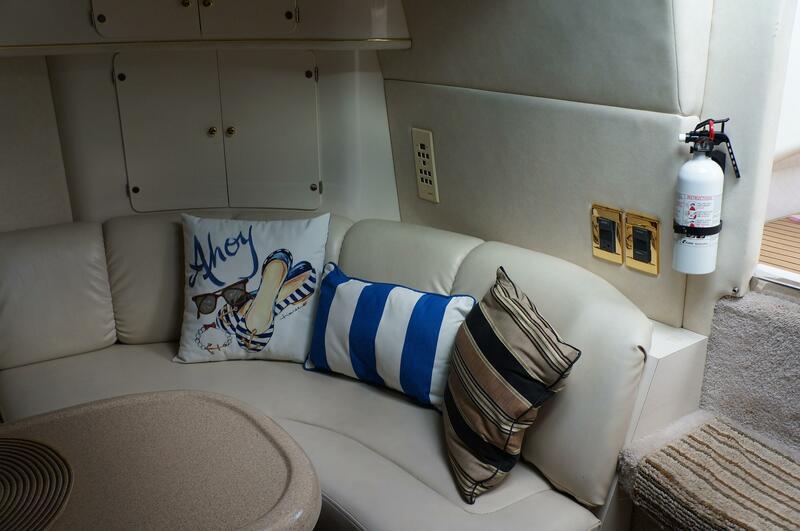 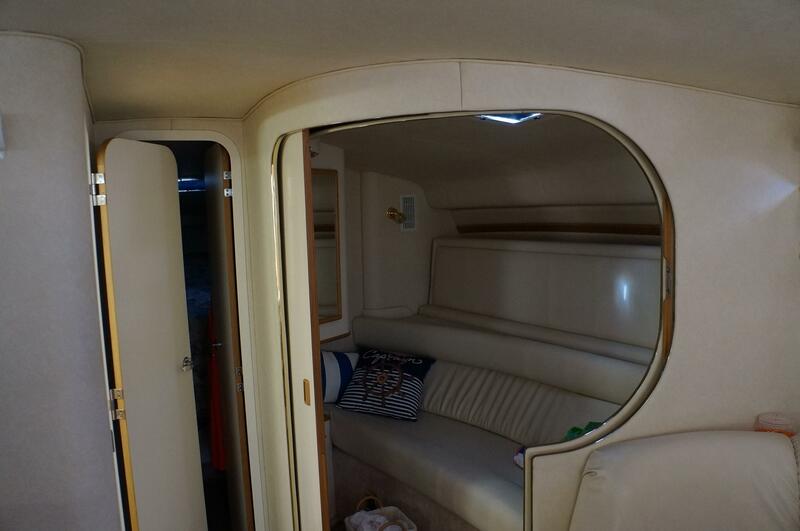 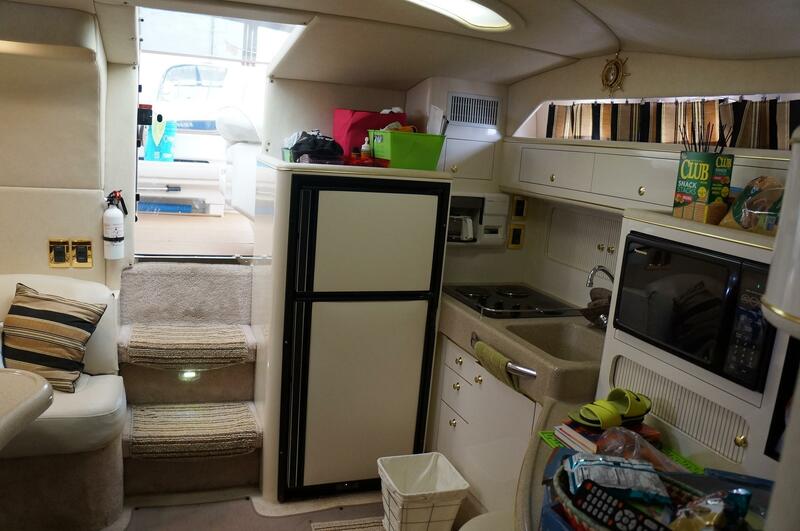 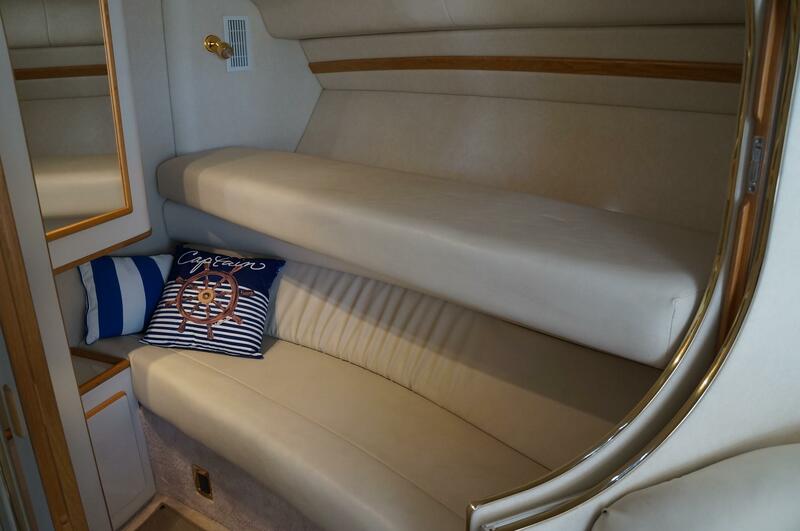 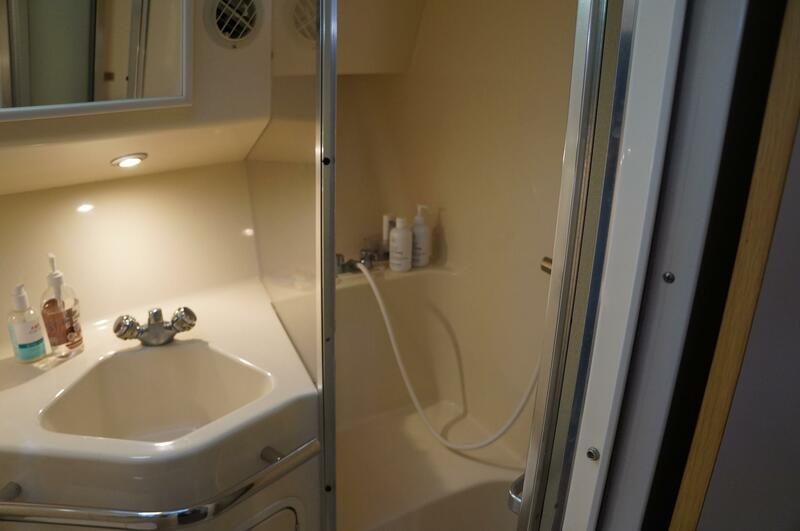 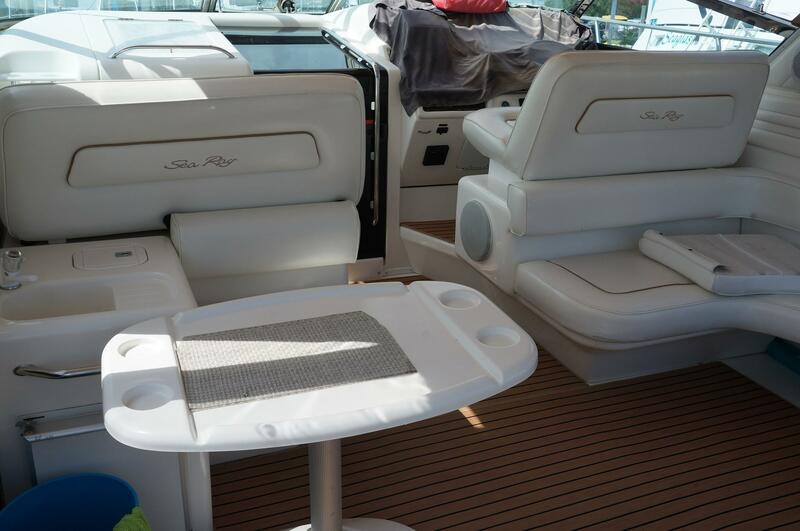 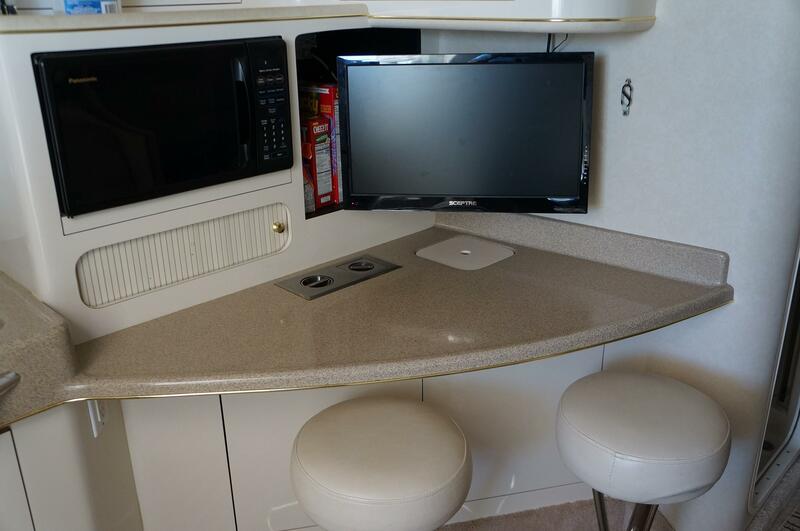 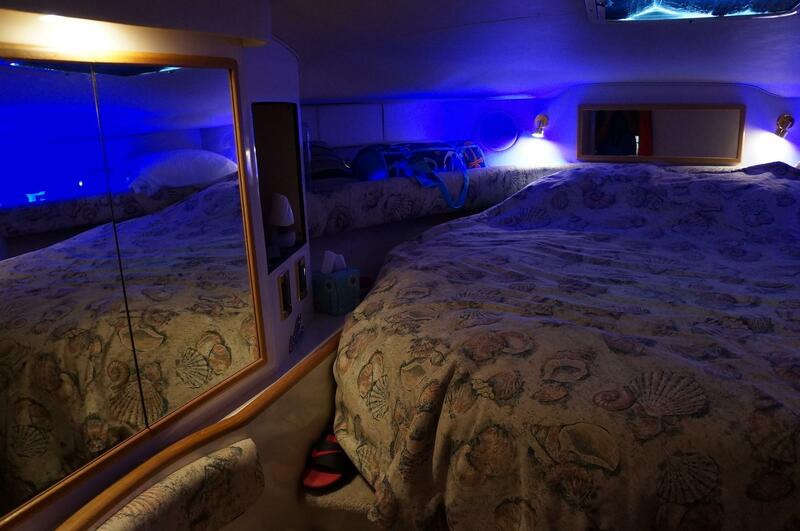 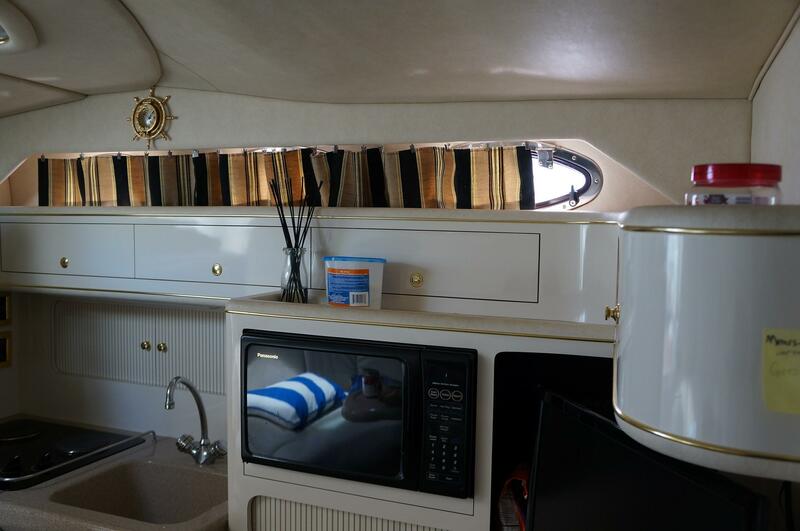 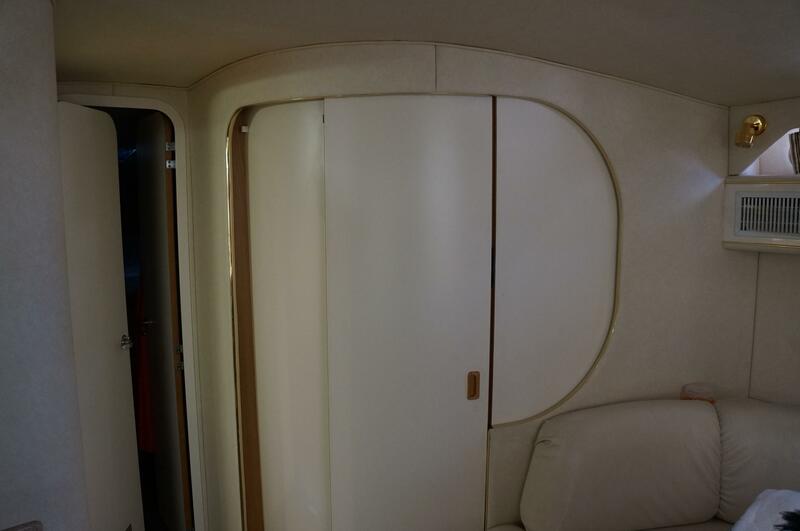 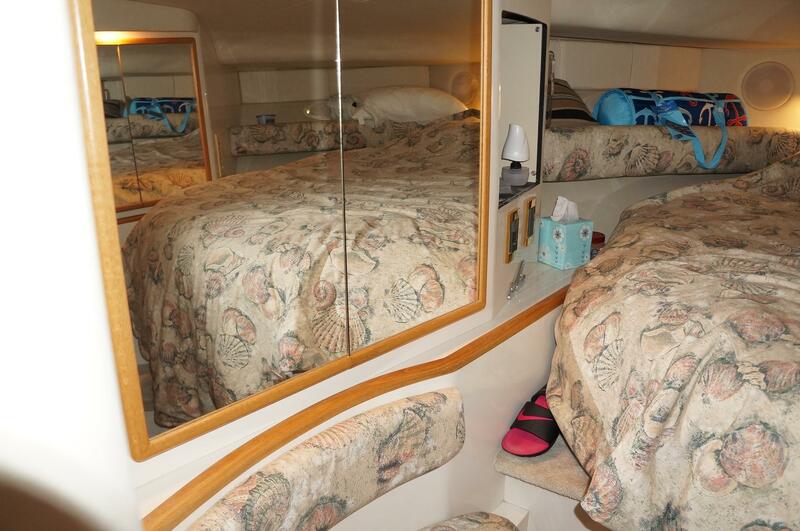 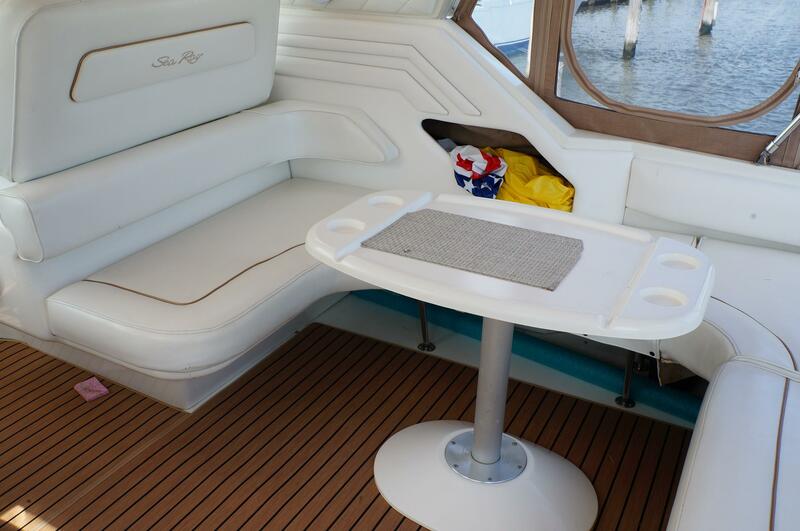 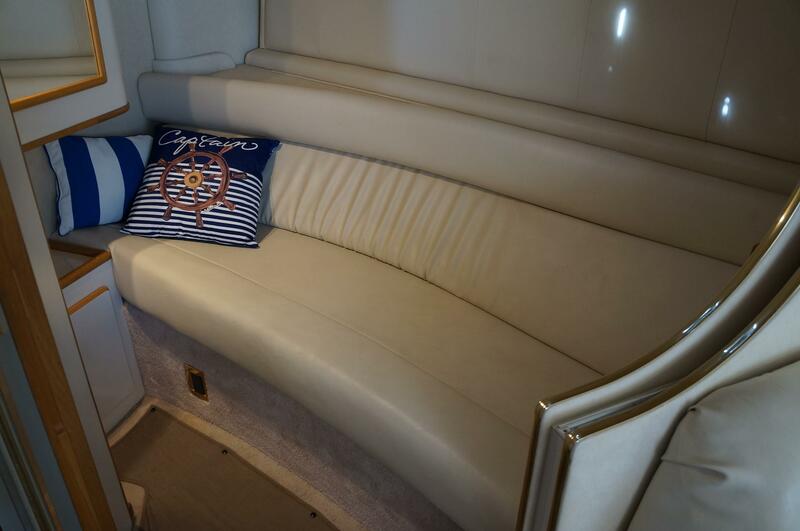 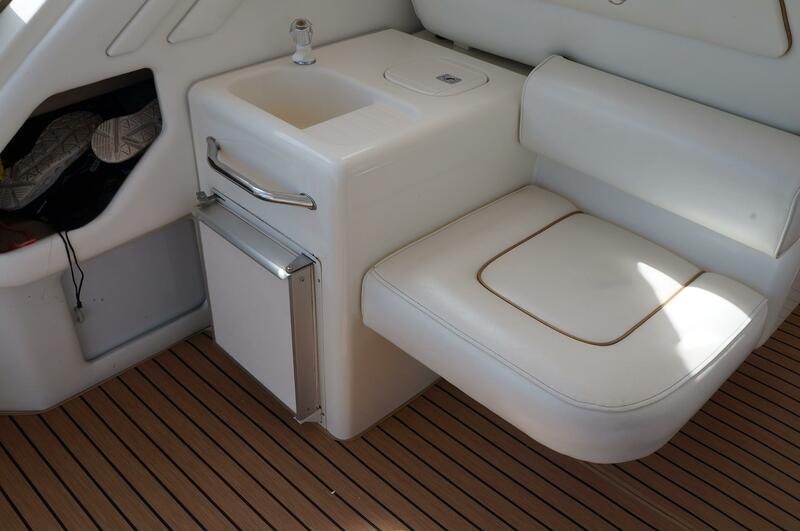 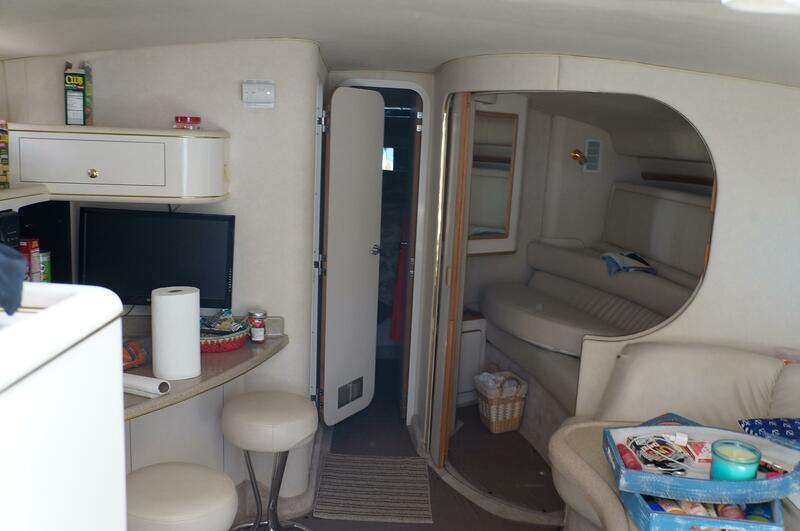 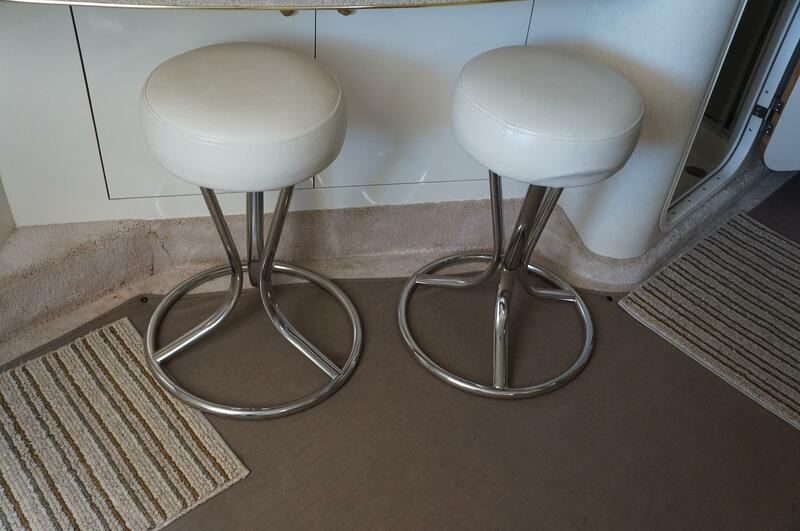 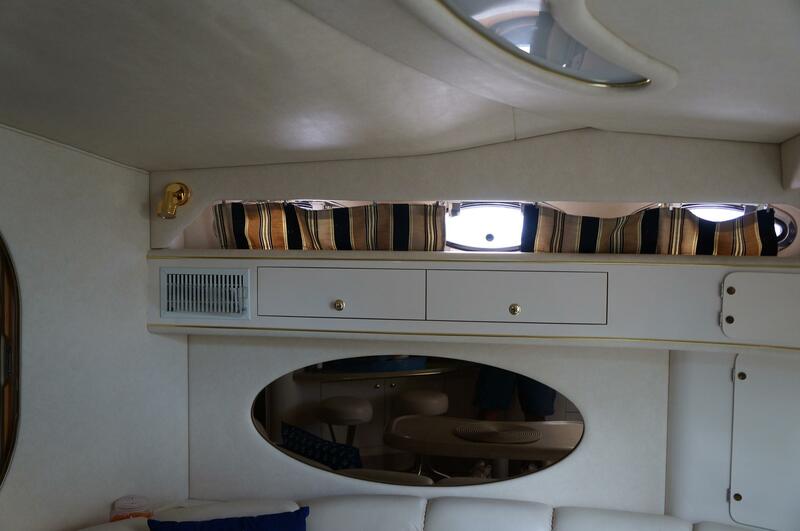 A separate shower stall is found in the head and the large galley includes a breakfast bar and generous storage. 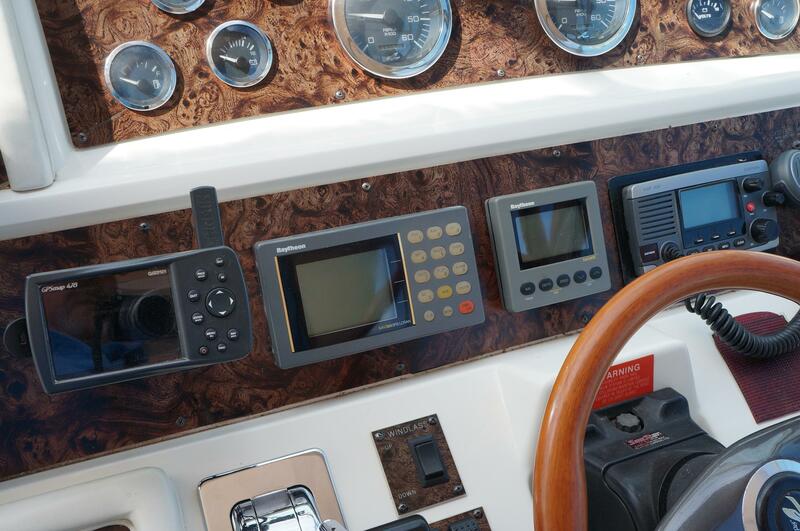 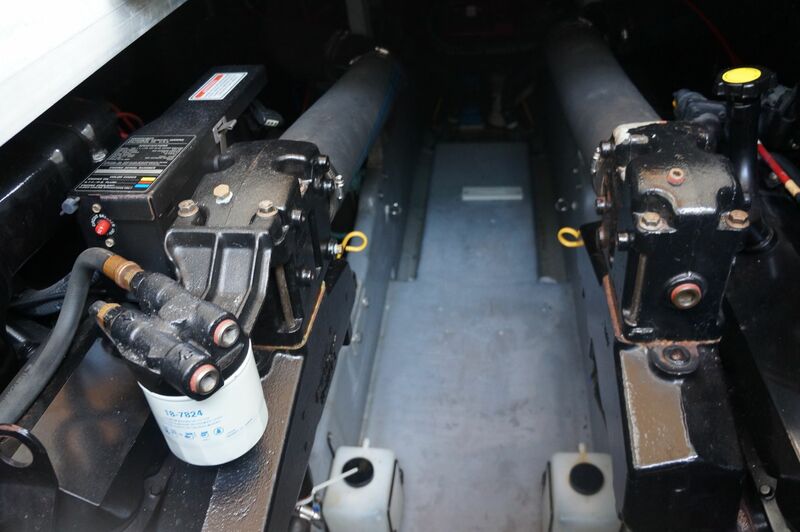 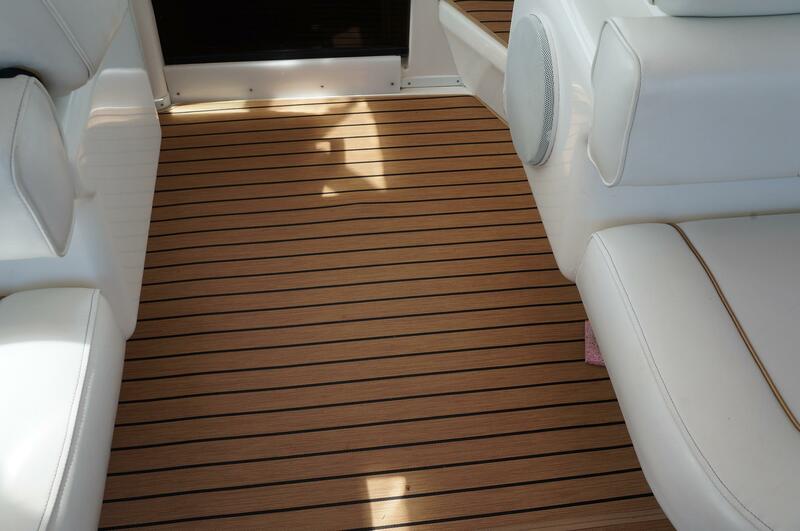 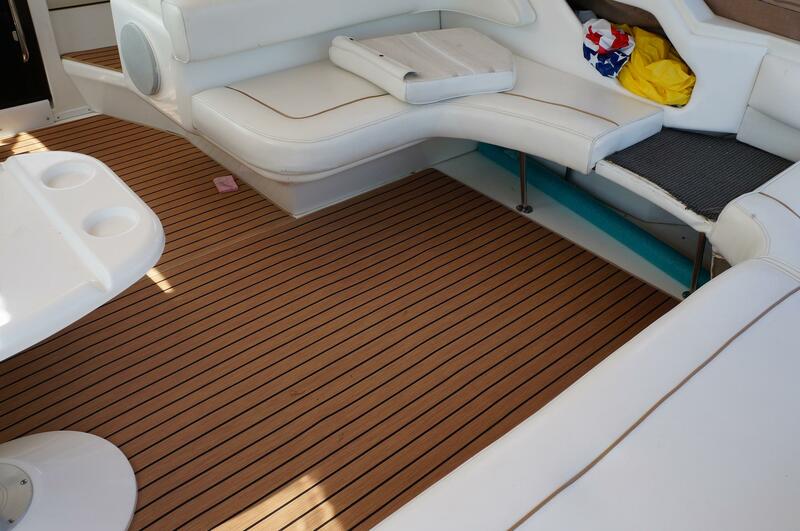 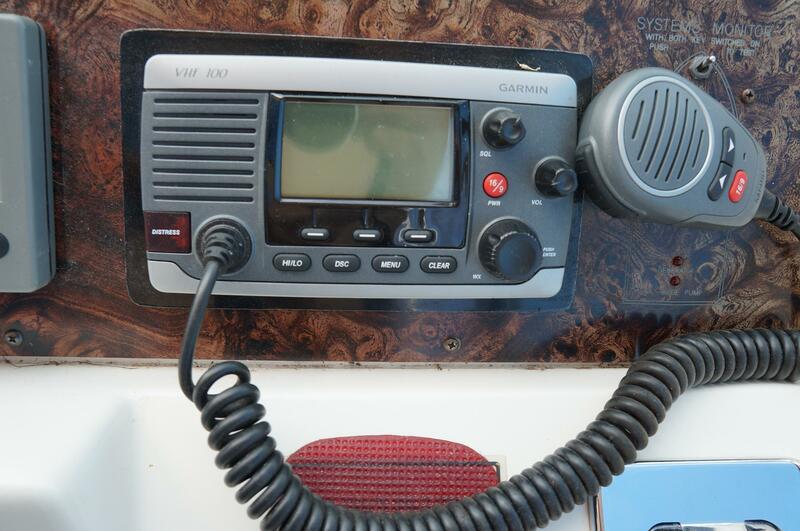 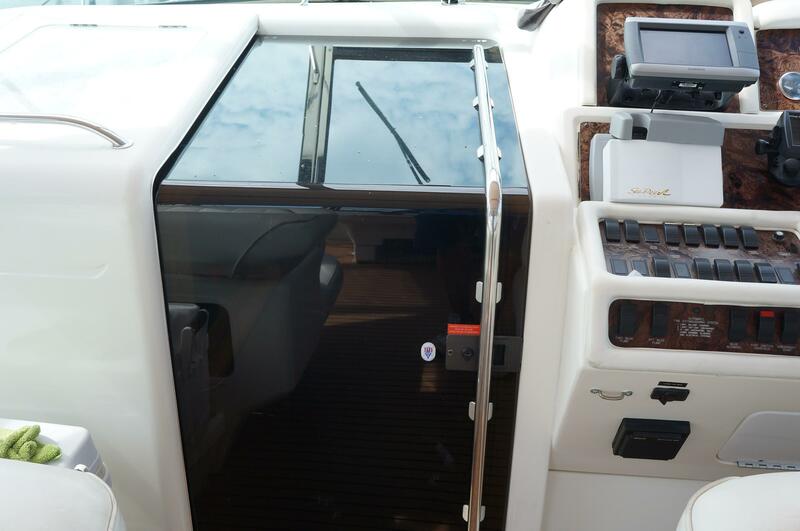 THIS BOAT IS EQUIPPED WITH STRAIGHT INBOARDS, NOT V DRIVES... 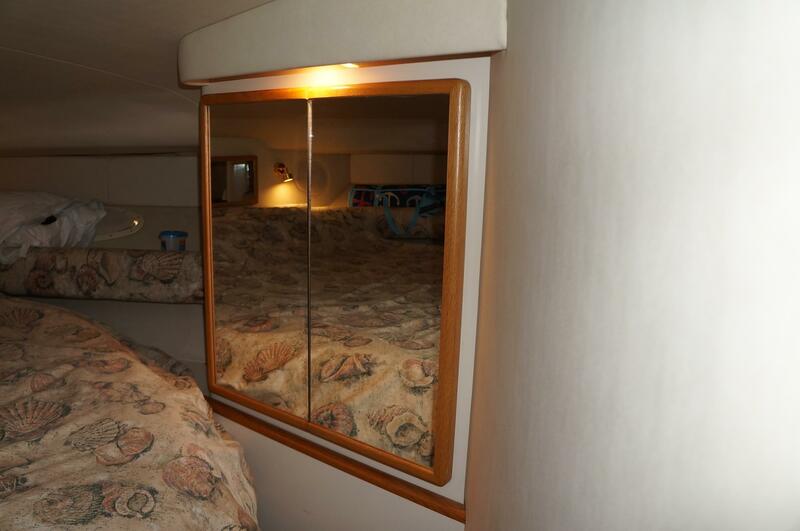 HER OWNER HAS SPARED NO EXPENSE IN KEEPING HER IN THE BEST CONDITION POSSIBLE. 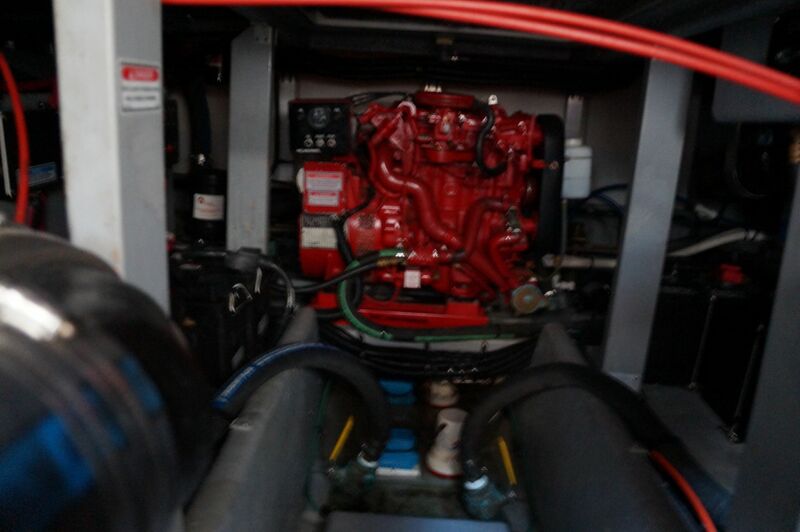 NEW PORT FACTORY LONG BLOCK REPLACED IN 2016 WITH 5 HOURS. 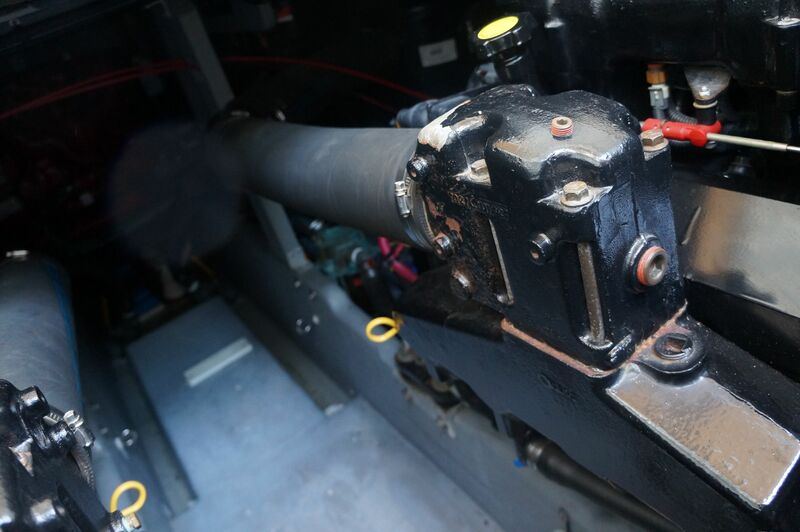 HER ENGINES ARE STRAIGHT INBOARDS, NOT V DRIVES. 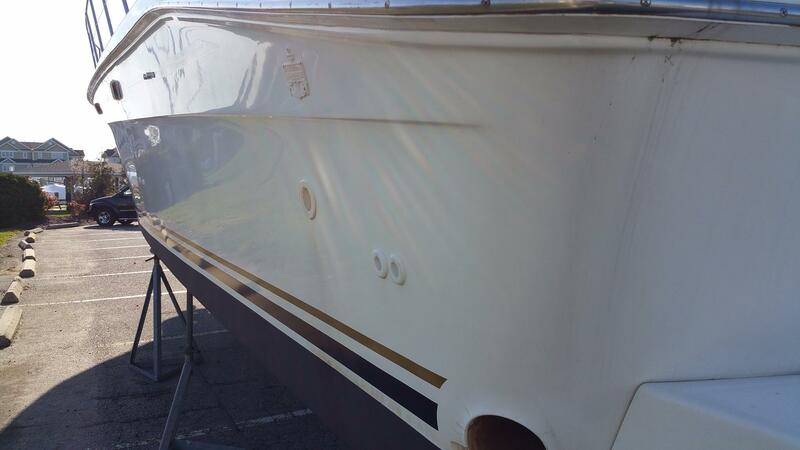 FRESH BOTTOM PAINT IN SPRING OF 2016.